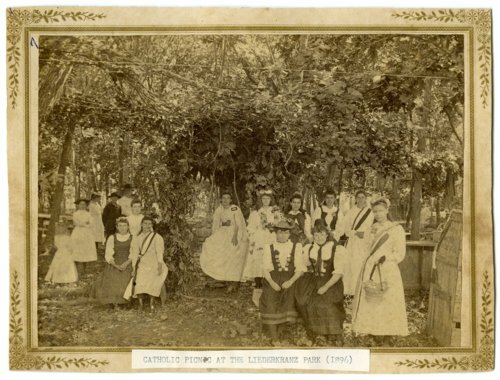 Two photographs of a picnic in Liederkranz Park sponsored by the Catholic Church in Alma, Kansas. In the first photograph, a group of girls in festive attire pose for the camera. In the second photograph, Nettie Miller Ketterman depicts the biblical story of Rebecca at the Well.